This semester, Kelly Keith, a senior and first-time RS, will be leading a program on her hall called 24 Hour Prayer. The program is a campus-wide initiative from the LU Shepherd Office towards the goal of creating a culture of prayer on campus. “We are called to love our halls and love our God, so it’s not a big deal to sacrifice some time to just pray over everybody,” Keith said. 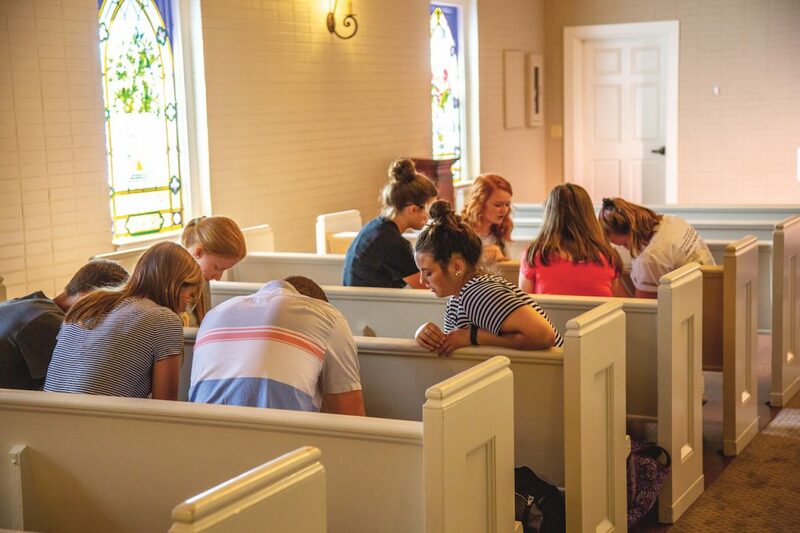 Liberty students can sign up for 30-minute prayer shifts to join the pryer initiative. This program isn’t just for student leadership, though. Isabella Diaz, a junior, is not currently in student leadership, but said she loves how this program combines the prayers of different majors, classes, and ages of students. “You know that we’re on a campus where prayer is not only supported, but encouraged,” Diaz said. Students can go to the LU Shepherd website to sign up for a 30-minute prayer shift, or they can even submit a prayer request themselves. Additionally, student leaders around campus will be assigned shifts to make sure that even as students sleep, they are being prayed for. Explain the when of this event. Students may hear more about this program through social media, but according to LU Shepherds, the best way to learn about it and get involved is to ask the RSs and CGLs that you know. Keith said she saw God move in many ways through 24-Hour Prayer, but some of the most significant ways have been through relationships formed on each hall. “God loves a willing and faithful servant, so if you’re willing to get up in the middle of the night, I know he’s going to meet you there,” Keith said.